The merger announcement notes that the merger is part of a U.S. “plan to achieve significant efficiencies and increase our effectiveness,” and “is driven by [U.S.] global efforts to improve the efficiency and effectiveness of our operations.” Such efficiencies should save U.S. taxpayer dollars. 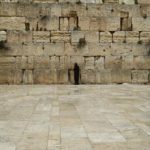 Most importantly, although the merger announcement noted that the U.S. “continues to take no position on final status issues,” ZOA believes that the merger is another vivid demonstration that Jerusalem is a united city and the eternal capital of Israel. 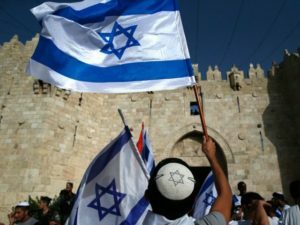 The merger of the Jerusalem U.S. Consulate into the U.S. Embassy in Jerusalem is also another step in fulfilling President Trump’s pledge that under his administration, “the days of treating Israel like a second-class citizen will end.” As far as we can tell, the U.S. has no separate consulate general operating in the capital city of any other country where the U.S. has an embassy. For instance, in Germany, the U.S. Embassy is in Germany’s capital Berlin, while the U.S. Consulate Generals are located in Frankfort and Dusseldorf. In Turkey, the U.S. Embassy is in Turkey’s capital Ankara, while the U.S. Consulate Generals are located in Istanbul and Adana. Thus, the merger will bring the status of the U.S. Embassy in Jerusalem in line with the other U.S. Embassies throughout the globe. 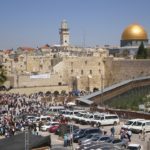 ZOA believes that the merger is another vivid demonstration that Jerusalem is a united city and the eternal capital of Israel. ZOA is also pleased that Secretary Pompeo’s announcement noted that U.S. Ambassador to Israel David Friedman will be guiding the merger. Ambassador Friedman has been proving himself to be a tremendous emissary for restoring a strong U.S.-Israel relationship. ZOA predicted that David Friedman would be the most extraordinarily talented US Ambassador to Israel ever. And that prediction has come true in spades. The U.S. Consulate in the eastern portion of Jerusalem had focused on Palestinian-Arab affairs, operated autonomously, reported directly to the U.S. State Department instead of to the U.S. Ambassador to Israel, and was unofficially viewed as a sort of embassy to the Palestinian-Arabs. This was an insult to Israeli sovereignty, the unity of Jerusalem, and the 3,500-year-long history of the Jewish people’s presence in and connection to Jerusalem – especially including the Western Wall and Old City, all located in Jerusalem. The U.S. Consulate’s previous mode of operations was thus a glaring example of how prior administrations treated Israel as a “second class citizen.” No other country that we know of had a U.S. Consulate that operated in such a manner, bypassing the U.S. ambassador and focusing on serving a particular group of people in the country.